Ashampoo Burning Studio 18 is an all in one software package that handles all types of media including images, movies, music or files enables you to burn, Copy, rip music, create audio CD’s, create ISO images and backup with ease. Backup files across several CD’s, DVDs or Blu-ray discs. Create audio CD’s and MP3/WMA discs. Rip audio CD’s to multiple formats. Duplicate CD’s, DVDs and Blu-ray discs. We at GiveawayGate.com partner with Ashampoo software company Offering 10 license keys for Ashampoo Burning Studio 18 full software (Not free Edition) latest version of this great software. All Keys are with us at Giveaway gate ready to be delivered to lucky winners. 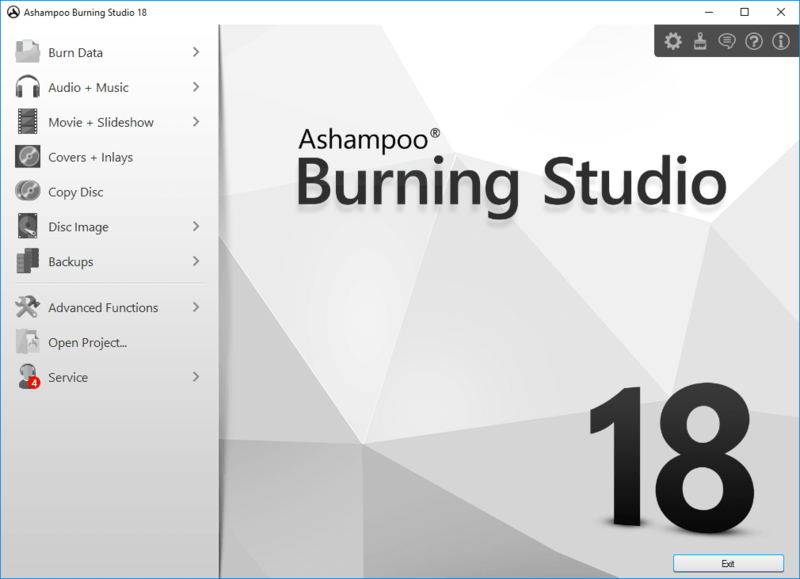 Ashampoo Burning Studio 18 (latest edition) software Regular price is $59.99. In this giveaway you can get it for FREE! All our giveaways are 100 % free to join. This giveaway is operated by GiveawayGate.com and provided by Ashampoo . Please make sure to ACTIVATE Your Email Subscription and Rss Feedburner To Consider your entries as valid ones. Once competition ended and winners announced We will contact to winners via e-mail used in competition and/or via twitter send prizes to them so, It’s important to use a Valid and activated e-mail address. It is an amazing giveaway!!! i would like to see giveaways for software like malwarebytes, ku tools for office. This is an amazing giveaway!!! More giveaways for software like malwarebytes, ku tools for office would be my suggestion. I love this giveaway! Would be great for my business! I am not sure what to do next! I’m flexible! Thanks! thanks for the giveaway , very awesome. I would like a spyware or maybe photoshop. Thank You Vanessa, You are welcome . Great Giveaway this is a very needful software. More giveaway like this software Nero will be best. Thanks for the chance to win Ashampoo Burning Studio 18. Hi I have won and received the ashampoo key , very happy now.. Thank you very much Giveawygate..!! !